One came home hungry and one came home wanting to go to the movies. The first time I saw two cousins separately on leave from the Marines before each one would later be deployed for Iraq, they smiled the same and looked more or less the same but there was an immediacy about their actions and an unmistakable tension that seemed to permeate whenever they entered a room. It was if they felt that the joking over delivered pizza or trying to get the ideal spot at the multiplex would suddenly be interrupted by a superior officer who would arrive ready to pull them back to Camp Pendleton at any moment. Yet there was also that distinct Marine Corp pride-- the way they carried themselves with the perfect posture whether sitting or standing, the southern/military accent they'd acquired, as well as a sense that they had changed into a soldier. And as a soldier, they could no longer fathom the way civilians went about their lives and understood that civilians couldn't fathom the level of commitment and training that had turned them into "the few" and "the proud" in their daily lives as part of the Corp.
As filmmaker Neil Abramson's Sundance nominated American Son begins, nineteen-year-old Mike Holland was all set to exit the basic training at Pendleton to return to his Bakersfield, CA hometown for a nice four day leave. But when a superior walks in and informs the new young Marines that their deployment date has been moved up and after the 96 hour Thanksgiving break, they'll be shipping out to Iraq by way of Kuwait, Mike struggles to process the orders over an emotionally charged long weekend. Unable to admit out loud where his post-leave destination will be, Nick Cannon's Mike seems to try and ignore the reality first by flirting with Cristina, a beautiful college student (Be Kind Rewind's Melonie Diaz) who by chance is journeying to the same location by bus. When she guesses that he's a Marine and their awkward but excited banter grows momentarily serious when she discusses a guy from her neighborhood who came back disabled, she senses his unease and says, "but you're not going there" which he never corrects until the 96 hours begin to run out. For by admitting it out loud, he knows he'll have to admit it to himself and his moment of truth happens differently with various family and friends but most poignantly all alone when he breaks down in his car. 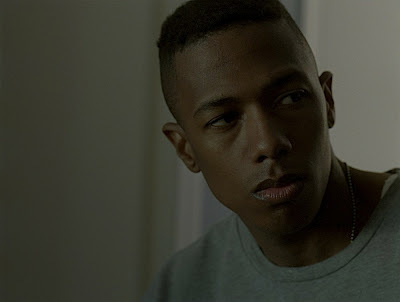 Although he tries to fall back into the rhythm of his previous dead end lifestyle with his best friend Jake (Matt O'Leary) who gets his kicks dealing, doping, shooting guns, and picking fights as well as trying briefly to reconnect with his hardworking mother (April Grace), estranged father (Chi McBride), younger sister (Erica Gluck), and stepfather (Tom Sizemore), it doesn't take too long to realize that he'd rather escape into a different life with Cristina. Spending most of his time with the young woman who becomes his new girlfriend rather than acknowledge that he just doesn't blend into Bakersfield anymore nor wanting to lie to those nearest to him-- Cannon's sensitive yet alternately playful, stern, and believable turn rings of authenticity even when a few plot points fail to do the same. While a number of critics who screened the work at Sundance called it apolitical-- the subtext is there from the beginning-- and it works most effectively when friends make realistic remarks like joking about smuggling him into Canada if he had to go to Iraq or that they'd that freak out, wondering simply if he can just tell them he doesn't want to go. On the other hand, addressing the issue bombs when we're hit over the head with it in a scene that wastes the immense talent of actor Jay Hernandez portraying Cristina's neighbor who came back from Iraq minus most of his leg and obviously psychologically damaged. In a scene that would've been perfect with just one shot of his choice t-shirt of "I Went to Iraq and All I Got Was Crippled" and another one when his mother asks Mike if there's another job he could get regardless of his disability, unfortunately it fails when it's dragged out to movie-of-the-week melodramatic effect. However, it's a forgivable misstep since its heart was in the right place in calling attention to the lack of support and help offered to our wounded combat veterans when they return home and there are some other issues of greater concern for the movie's structure. Since it was filmed in a breakneck 20 day schedule its overall achievement must be commended. Nonetheless, it tries to tell too many stories in its 85 minute running time and thus, American Son is bogged down by some of the antics of the larger-than-life Jake mixed together with a serious lack of information about Mike's elusive junkie brother he tries to track down with his father that maybe would've strengthened it more if the two thematically similar plots were combined into one character or situation. Obviously the film has the misfortune of bypassing theatres altogether and arriving straight to DVD after the summer has found so many critics and audience members deeply compelled by 2009's pitch perfect on-the-ground Iraq war film The Hurt Locker. Yet to see Nick Cannon's most believable performance so far and for audiences willing to venture past their hesitance to explore movies about wars that are still going on, it's nonetheless a personal and intriguing approach to the subject matter. 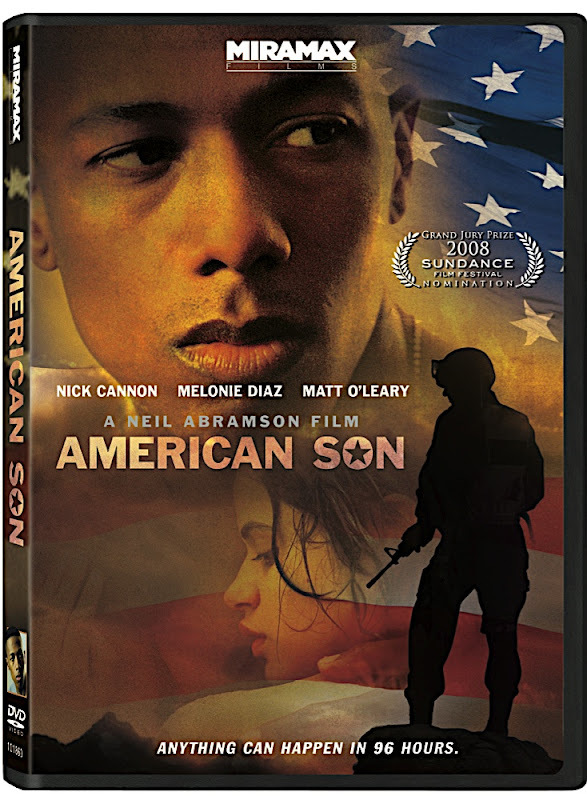 And aside from an instantly forgettable title that even found Variety calling it "American Soldier" in the middle of their review, American Son is friendly to all sides as it deals with the war here in the states in a way that greatly differs from other recent and impressive works such as Stop-Loss, Lions for Lambs, In the Valley of Elah and Grace is Gone.